Class attendance and participation is important and expected, especially during sacramental years. 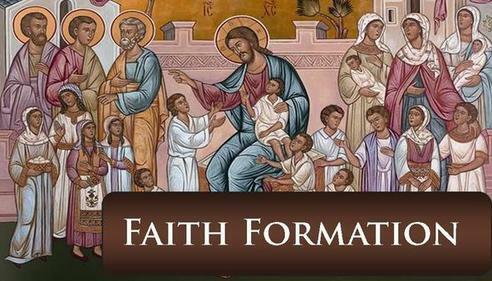 Thank you for committing to the faith formation program. All grades gather in the Parish Hall after the 9:30 Mass for fellowship and snack. The 7-12th graders head directly to their classrooms for opening prayer. K-6 will pray the Act of Faith at 10:40am and go to class.